The Dead Angle | Just Shooting Memories! One of the best parts of working on the Silent Guns of the South series is really getting to know the history of our country. I ran across the Illinois Monument completely by design. 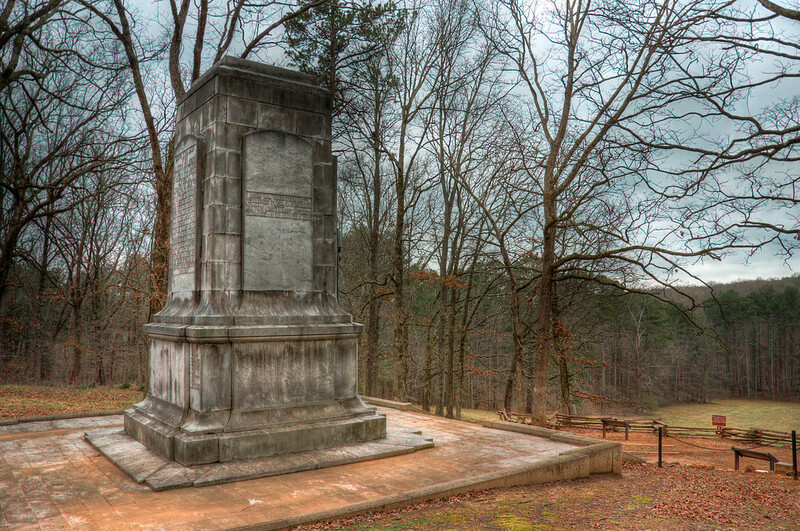 However, I got a surprise with where the monument was located on the Kennesaw Mountain Battlefield. Not thirty feet up hill from this monument is the “Dead Angle”. Almost 150 years ago, both sides fought bitterly over the ground that I was standing on. Nearly an entire Union Brigade was annihilated during the assault on this position and Confederate line still held. Visiting these sights reminds me of the sacrifices that have been given to make this country great.